By far the best diaper we own! The natural fibres are crazy absorbent, and the separated inserts allow for easy washing and quicker drying time versus other AIOs we own. 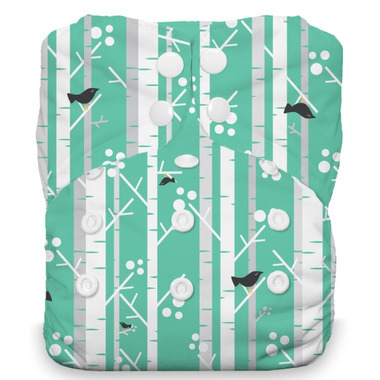 Also, because this diaper is one size, it makes for a great fit for our long waisted girl... Plus the prints are super cute!